Register your interest today to discover the lifestyle opportunities Daiman Group offers you and your family. Fill in the form below. I have read and agreed with the Disclaimer and Terms & Conditions. 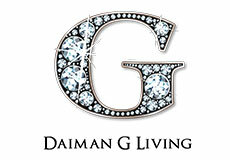 Welcome to the website of the Daiman Group of Companies (‘Daiman Group’). By viewing this website, the viewers are agreeing to comply with and to be bound by the terms and conditions as set out below. This website belongs to the Daiman Group of Companies . 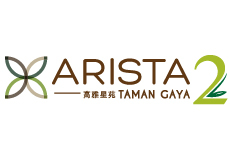 The copyright to the contents of this website is owned by the Daiman Group. This website is intended for personal use, quick reference, illustration, and information purposes only and may not be copied, re-distributed, or published in any manner without the written permission of the Daiman Group. Any unauthorized use of any part of this website is strictly prohibited. The trademarks, logos, characters and service marks (collectively called “Trademarks”) displayed on this website belong to the Daiman Group. Nothing contained on this website should be construed as granting any licence or right to use any “Trademark” displayed on this website. Any use or misuse of the “Trademarks” displayed on this website, or any other content on this website, except as provided in these Terms & Conditions, is strictly prohibited. The Daiman Group of Companies respect the privacy rights of their on-line visitors and recognizes the importance of protecting the information collected. The companies will not sell or share any personal information pertaining to their customers obtained via the website by telephone, mail/e-mail or in any other manner. Viewers’ personal information collected or obtained may include name, e-mail address, phone number, home address, date of birth, occupation, etc. may be used by the Daiman Group of companies for their own internal marketing and demographics studies to enable them to constantly improve their site to meet viewers’ and customers’ needs. The data or information collected on-line may be used to contact viewers periodically by post, telephone, facsimile, e-mails or short message service (SMS) to update viewers on Daiman Group’s projects, new product launches or upcoming events and promotions. Daiman Group takes the necessary precautions to safeguard viewers’ personal data against loss, theft, misuse, alternation, or destruction. However, given the nature of the Internet, the Daiman Group cannot guarantee that there is “perfect security” but will make best possible efforts to ensure that the privacy of users is safe guarded. The viewers shall indemnify and keep the Daiman Group indemnified against all claims, damages, actions, and proceedings made or brought against the Daiman Group arising from their use of this website and/or any breach of terms in relation thereto by the viewers. This site is owned and operated by Daiman Group with the intention to provide information about the Group to the general public and stakeholders. Daiman Group does not provide any warranty or guarantee as to the accuracy, timeliness, performance, completeness or suitability of the information and materials found or offered on this website for any particular purpose. The users acknowledge that such information and materials may contain inaccuracies or errors and the Daiman Group expressly exclude liabilities for any such inaccuracies or errors to the fullest extent permitted by law. Daiman Group reserves the rights, in its sole discretion, to change or discontinue any aspect, feature, content, promotion of its products, or to correct any errors or omissions in any portion of this site any time without notice.